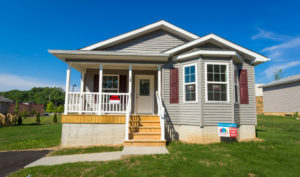 The Centre County Housing and Land Trust (CCHLT) has completed construction of two brand new homes at its Thompson Place development in Patton Township. Located at 119 and 133 Woodycrest Street, each of these available, 1,236-square-foot homes offers three (3) bedrooms, two (2) baths, a full basement, and natural gas appliances (heating, hot water, and kitchen range). These properties are part of a program geared towards bringing affordable housing to moderate- and lower-income buyers in an otherwise cost-prohibitive local market. CCHLT is hosting an Open House this Sunday. The CCHLT is offering each of these two homes for $167,000, and will be opening up these exciting properties to the public at an Open House on Sunday, June 26th, from 1 PM to 4 PM. Please consider this your personal invitation to view what can happen when creative modeling meets housing opportunities for our area’s moderate- and lower-income individuals and families. ‹ Looking to Buy a Home?